FEATURE: Is Torie Wiggins Cincy’s Busiest Actress? 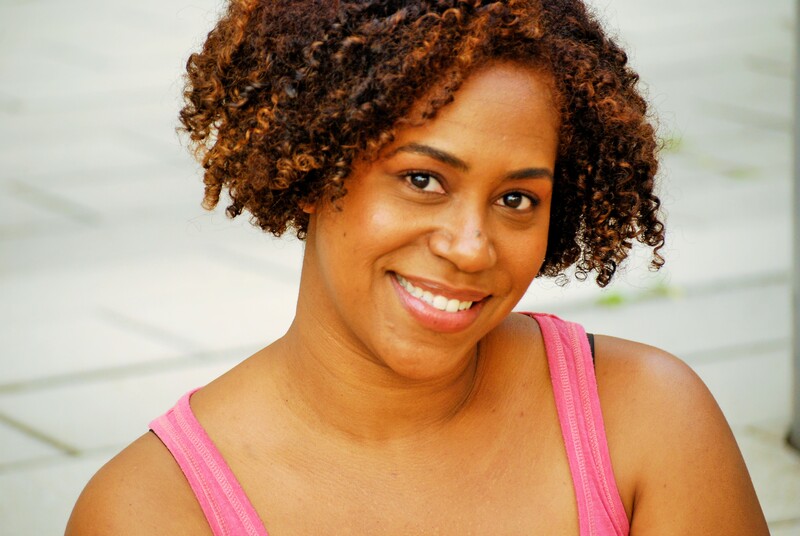 Torie Wiggins is a very busy actress, appearing on stages all over the city. Last Friday night, she was honored with the prestigious Julia Winter Cohen Career Excellence Award. She has appeared on “All My Children” and in the feature film “Love Me Through It,” as well as her own one-woman shows. This week begins her run in the regional premiere of THE MOUNTAINTOP at the Ensemble Theatre of Cincinnati. Torie was gracious enough to give us a few precious moments of her time. Hi Torie! Thanks for taking out time to answer a few questions. So, how did you end up in Cincinnati? I’m originally from Atlanta, GA where I attended a performing arts elementary school and high school. From there, I went on to CCM. I graduated from CCM Drama in 2002. I moved directly to NY after that, and lived and worked there for 11 years. In 2011, Eric Vosmeier (from the KNOW Theatre) reached out to me and asked if I would come to Cincinnati to do “Abraham Lincoln’s Big Gay Dance Party.” I agreed. From there, I continued to book shows here…so basically I was working here and going back to NY in between shows (and subletting my Brooklyn apartment.) Finally, I was getting so much work here, in 2012 I decided to give up my apartment in Brooklyn and get an apartment here in Cincinnati. So I’ve been officially here for about a year and a half. You stay very busy; it seems you’ve been working continuously, appearing in show after show. I first saw you in “Bloody, Bloody Andrew Jackson” and you’ve done great work in so many shows like “To Kill A Mockingbird,” “Black Pearl Sings,” and “Pluto” among so many others. Is it hard to keep up with such a busy schedule? I’ve been going non-stop since August of 2013! I started this season with the Cincinnati Shakespeare Company in “Oliver Twist,” followed by “The Crucible,” and after that I went straight into “Around the World in 80 Days.” And lets not even talk about the side gigs/jobs I have as well! It is hard sometimes, but I just love doing it. So it’s a labor of love. This week, you open THE MOUNTAINTOP at Ensemble Theatre. What can you tell us about the show? I’m playing the role of Camae, a maid at The Lorraine Hotel. Dr. Martin Luther King, Jr. is being played by an actor named Gavin Lawrence, who is with us from Washington, D.C. The play takes place in Dr. King’s hotel room the night before (literally hours) his assassination. Can’t say much more without giving it away! After this I get a little break before I start teaching summer camp for the Playhouse in the Park. My next show will be at the KNOW Theatre and we start rehearsing in the late summer. I’m just so glad I have found a community that is so immersed in and committed to the arts. I finally feel at home…bring on the next one! Thanks, Torie! I’m sure we’ll all be there to see all your future appearances on the stages here in town. THE MOUNTAINTOP opens tomorrow night (with a Pay-What-You-Can-Preview tonight) at Ensemble Theatre of Cincinnati in Over the Rhine. Tickets are selling fast. Check availability here. The show will run 3/19 – 4/6.